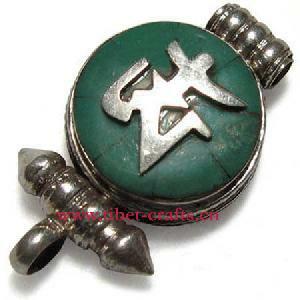 This Tibetan pendant is made from Tibetan silver. The "Om Mani Padme Hum" mantra is in the center of the pendant. This pendant was handmade in Nepal.